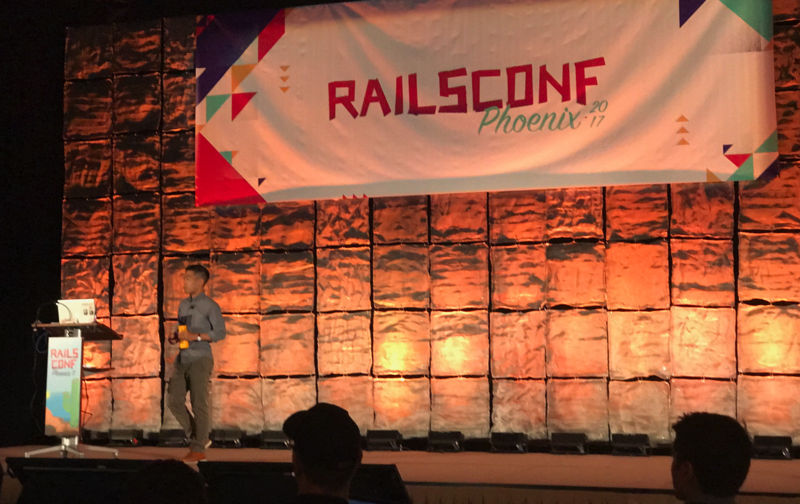 Talk from Andrew Hao at Rails Conf 2017. What Makes a System Beautiful? How much should be extracted? What if I extract something that's too specific? Too generic? "Domain-driven design (DDD) is an approach to software development for complex needs by connecting the implementation to an evolving model." What the business does that makes it unique. Supporting roles that help to make the core domain happen. After defining the core and supporting domains, identify them in the ERD diagram. Bounded context allows us to have concise language. Build a service object that creates the aggregate root. Could be a query, struct, etc. By leveraging active job, you can have domains communicate with each other via async. You can also integrate tools such as RabbitMQ for managing the message bus.